If you’ve spent any amount of time playing video games or absorbing gamer culture, you’re undeniably aware that our collective pasttime tends to skew toward a prominently male demographic. Traditional wisdom dictates that girls just don’t play games, and so most publishers largely ignore the distaff segment of the population when it comes time to promote and sell their high-profile titles. As a result, we rarely go a full week without witnessing another outcry from female gamers who claim that the portrayal of women in video games is blatantly sexist and chauvanistic (assuming, of course, that this hypothetical game even features female characters). Despite these frequent controversies and the inarguably swelling ranks of players who identify themselves as ladies (and would thus like to see their gender appropriately represented in games), developers still find themselves pressured to aim their big-budget titles specifically at those with male genitalia. Normally this sort of exclusionary marketing goes unnoticed by the general public; Publishers won’t readily admit to ignoring women and developers would rather not speak out against the practice, lest they be summarily fired from a profession that is increasingly difficult to work one’s way into. However, that hasn’t stopped Naughty Dog employees from speaking out against a recent, disturbing instance of this sort of systemic sexism. 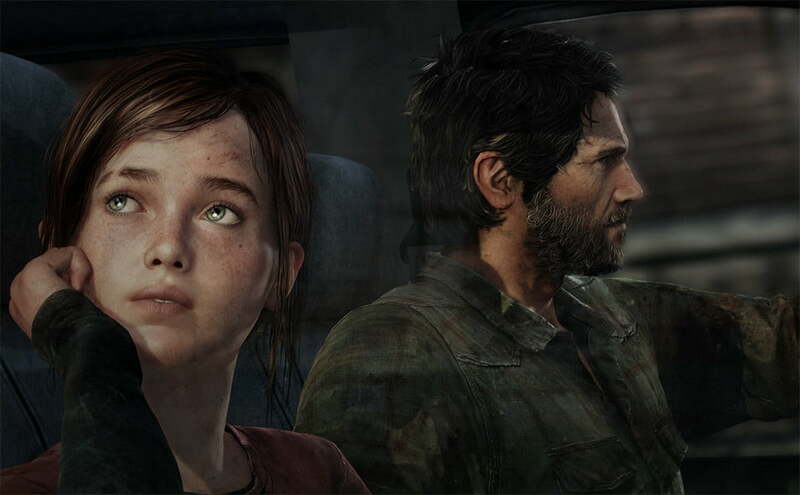 In an interview with VG247, Naughty Dog creative director Neil Druckmann and Ashley Johnson who provides the voice for Last Of Us protagonist Ellie (pictured above, at left), claim that while designing the game’s box art, the developer was repeatedly pressured to remove Ellie from the front of the packaging, or, failing that, to push the young lady to the back of the box. If we can play devil’s advocate for a moment, perhaps Levine’s motivation (living up to his company’s fiscal responsibilities) isn’t all that different from that of those executives who pushed Naughty Dog to remove Ellie from the box art for The Last of Us. Was their demand sexist and appalling? Absolutely, but at the same time “sexist and appalling” are depressingly apt descriptors for a broad swath of those people most likely to purchase the game. We would never defend the idea that a woman should be pulled from a game’s box art purely to sell more copies to stereotypically Neanderthalic male gamers, but despite their moral shortcomings and unenlightened world view, the money sitting in these boys’ wallets spends as well as anyone else’s and so it just makes sense that those in charge of maximizing a developer’s profit potential might ignore ethical qualms in favor of aiming for as large a pay day as possible. Such is the depressing state of games publishing.